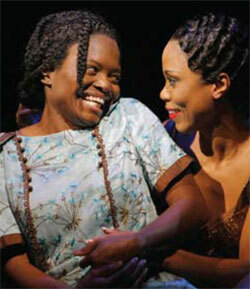 HomeArtsy MamaGiveaway: Tickets to see “The Color Purple” at WAC! The Color Purple will have eight performances at the Walton Arts Center from October 19 – 24. (Click here or call 479-443-5600 for info on ticket availability.) 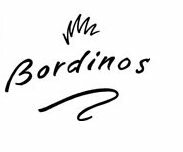 Tickets range in price from $39 to $73 per ticket, so this giveaway package which includes the dinner gift card at Bordinos will save you more than 150 buckaroos! Speaking of saving money, if you need four or more tickets to this show, you should know that you can get a 4-pack of tickets for HALF OFF, if you choose a performance on Wednesday, Thursday or Sunday. If you have a group of 10 or more, you can get 25 percent off the cost. For either of these options, call the ticket office at 479-443-5600 for all the details. Also, keep in mind that students get tickets at half-price for any performance of the show, and you can use a student code when ordering tickets to get the savings. Call the ticket office for info. ABOUT THE SHOW: The original Broadway musical of The Color Purple originally opened in December 2005 and it was nominated for 11 Tony Awards, including “Best Musical”. It ran on Broadway for over two years and then did a three-year First National Tour. HOW TO ENTER: In the book and the movie, the main character gets through tough times with the help of a friend and the hope of seeing her sister again. To throw your name in the hat, simply click the big orange comment button below and tell us about a special relationship that helped you with something important in your life. (Your workout buddy helped you stay on track to lose that baby weight? Your mother helped coach you in the delivery room? Your co-worker helped you finish a huge project on deadline?) Here’s your chance to give a special shout-out to the people you appreciate in your life. You can also e-mail your entry to us at giveaways@nwamotherlode.com. From Shannon: “No, you rock, Gwen! No, you do! In all seriousness, it really is awesome how a business partner can become such a close friend (against the advice of some business books :). When people meet us in person, they often want to hear the back story of how we started Motherlode. They expect to hear that we were best friends who decided to go into business together. The truth is we had done some PR work for the same firm and attended a few meetings together as freelancers, but we were really just acquaintances. TO INCREASE YOUR ODDS: As always, we reward mamas who help us spread the word! So e-mail your friends or family about this giveaway and we’ll give you an extra chance to win for each person you tell. (Plus, you’ll be giving them a chance to put their name in the hat, too!) Just be sure to put giveaways@nwaMotherlode.com on the CC line of your e-mail so we can give you proper credit. 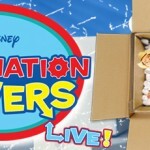 Sneak Peek at our next big giveaway! Great Date Giveaway: Dinner and Tickets to see Chris Isaak! Sponsor Spotlight: Do you want to Bfit? Obviously I can’t win this, but here’s a shout out to the ladies of NWAMotherlode and their readers – we love working with you! My husband and my sisters are my biggest supports and fan. They help me daily and encourage to always strive to do my best in everything I do. I love them and thank God for them each and every day. This is a hard one! I’d have to say that my special relationship with my girlfriend, Laura, got me through fall after fall of being without my husband! We teamed up and had dinner together every night and would sit and drink wine together. I miss her!!! My mom is my special person. She has been there for me no matter what. Through the good and the bad she is always there to lift me up. She is not only my mom, but my best friend. I don’t know what I would do without her! My Mom is always there for me (and her other 4 daughters!). She is the most special person and would do anything to raise you up and help you out! Love you Mom! My mother has been such a supporter and positive influence in my life. She is in the process of moving here and we couldn’t be happier. Mom’s are so important and I don’t know what I would do without mine! I have to say my two sisters. We are so close & they have always been there for me. I can call them anytime & they are always so encouraging & always listen when I need it most! I am blessed with many special people in my life. I have a wonderful husband, children, parents, friends, co-workers, etc. but I am overwhelmed with joy and excitement about my soon to be grandson. He is due Dec 5 (no name selected yet) and I feel so blessed. I attended the baby shower for him this weekend and placed my hands on my daughter in law’s stomach. He didn’t kick or move but I certainly felt his presence. Babies can melt a heart and he already has me wrapped around his little finger. I know the day he is born will be one of the absolute best days of my life. My two daughters have given me so much inspiration. My oldest daughter works with “at risk teens”, and has for a number of years. My youngest daughter has worked with mental and physically challenged persons and it just amazes me to watch them work with these people. They both have families and manage to keep upbeat about everything. It makes me feel like maybe, just maybe, I might have done a little right in raising them. They inspire me every day to be a better person and more tolerate of others. One of the toughest times in my life was over 15 years ago when my father died. If it wasnt for my “special relationship” with God I wouldnt have been able to make it. Thanks to my faith I was able to live my life just as my father wanted. I am currently going back to school. I have received so much encouragement to keep me going. I wouldn’t be able to do it without my husband, mother, and mother-in-law!! My husband is my best friend and he supports me in everything i do or try to do. He never gives up on me even after 27 years.. Also my one grand daughter Bailey is very special in my life. She is always so positive about what ever i want to do. A few months ago, my husband was laid off (thankfully, he was called back to work after only 9 weeks). Lots of people were encouraging during that time. But my friend Stephanie called and really offered to do “anything.” I laughed and said, “What are you gonna do, Steph, pay my bills?” Without skipping a beat she said, “If it comes to that, YES!” She then offered to carpool and share a hotel room for our daughters’ upcoming volleyball tournament which was a tremendous help as we were skimping and cutting corners. I am thankful for a mother that loves me unconditionally. She’s always been there for me and my family no matter what the situation and I know that will continue through her life. Thank you Mom for teaching me unconditional LOVE! I am very blessed to have lots of special people in my life. I think that the first one that comes to mind was my teen years Girl Scout leader, Skip Baker. She was really the first woman to challange me to bring out more in me in a positive way. She took time to see inside me. And I love her for this to this day, 30+ years later. The second one that comes to mind is my sister. She is my only full sibling, and we find ourselves wearing the same earrings. Although we can be very different, she understands me and loves me unconditionally. A good friend of mine, Edwina, comes to my mind as a mentor. I want to be more like her, her calm patience and thoughtfulness in what she says. And probably most of all, my daughter India. She has already taught me in her almost 18 years more than I have probably ever taught her. I am thankful every day for the great friends I have. My best friend Charity is always there, and my new friends Deb and Jeanne are supporting me and making life more fun than ever. Thanks, guys. My husband has been my rock for 15 years. He encouraged me to open my own business and has supported me every step of the rocky way. He is a true optimist and my best friend. I have to say that my spiritual counselor was pivotal in changing my whole outlook for the better by helping me to see that my Lord Jesus was there with me in all the rough patches of my life and will be by my side through all of the days ahead of me – good and bad. She helped me to see that I have worth and can change my life for the better. That is an invaluable gift that I will always cherish! Thanks, Kandy! My mom has always been there for me supporting me 100%. I would LOVE to take her to see this if I won. My big sis who saw me through breast cancer surgery away from home and my husband and kids who kept the homestead going while I was gone and in treatment. And now my dear friend Dian who wore my name on her back at all the races and now bravely fights her own breast cancer battle. I will say my mom and sister have been a great support system. My mother is the one who gets me through a lot of things. Without her I would be lost. There are to many stories about her helping me to tell. My mother is a wonderful person, my best friend. I am so lucky to have her in my life. She has always pushed me to do the things I don’t think I can. What a wonderful person. Without her I do believe I will be lost. Love you mom. I don’t know where I’d be without my mom! She is always there for me at the drop of a hat–whether I need her to pick me up something at the store, babysit, or help me clean my house, she is always happy to help. Just last weekend, I called her-at my wit’s end with my crying newborn while trying to show my 4 year old son some much-needed attention. She quickly suggested that she come & pick up my son for a few hours so my husband & I could have some relief. It was just what we all needed! She’s the best! My best friend has always supported me through the toughest of times. My mom is a great lady, but found it difficult to be a full time mother. My best friend and I relied on each other to encourage and push one another to see the positives of each day even though they seemed gloomy. My Mom for sure is very special because of her encouragement throughout the years and for always being there for me when I had my kids or for when they were sick and now for watching them play sports. I have several great friends who have been a source of comfort when I have needed it and who listen and cheer me up when I get down! I have been blessed with GREAT friends and Cousins. I also have learned that you can’t trust everyone. My husband has been my rock. I am able to tell him anything without being judged and he has gotten me through a lot. While growing up, it was my great friends, most of them I have known for 30 years now! My mom and a few special friends have helped me through alot of things! Gosh, it’s difficult to choose just one person because I have so many wonderful women in my life, but interestingly one person came to mind when I thought of someone who had impacted my life. Rhonda Griffiths (and her husband) was my school leader for a short term training I did back in 2005, and the way she lived her life was so inspiring to me that I am beyond thankful to have known her. We are not in touch now (my fault – I am terrible at keeping in touch) but I still feel blessed when I think about the way she handled problems, her huge heart for other people – ALL other people, her relationship with her husband and children, and most importantly her relationship to God. The joy of this relationship radiated from her face and I am so honored to have had her in my life. I really can’t zero in on one relationship. It’s essential to mention and recognize all the strong black women in my family that have paved a way for me to explore and succeed with my personal and professional goals. Without those ladies that carved a path, I don’t know where I would be at this point. I have been so lucky to have many women who have invested and nurtured me over the years. Currently I have a strong christian woman who is about as close to an angel as you could get she is 74 years young and I work with her. Yes she is still working. She is an inspiration and a constant encouragement in my life and many others! Shirley Anthony is her name and if you know her you are as lucky as I’am!! I have a friend that God (literally) dropped in my lap when we moved here 21 years ago. She has loved me through everything, including a really poor decision on my part, she stayed with me through it all!